The Beehive Design Collective is a wildly-motivated, all-volunteer, activist art collective dedicated to "cross-pollinating the grassroots" by creating collaborative, anti-copyright images for use as educational and organizing tools. We work anonymously as word-to-image translators of complex global stories, gathered through conversations with affected communities. 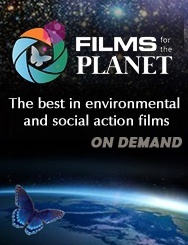 We use cartoons and storytelling to break down big issues from the overwhelming world we live in, connecting the dots between social and environmental issues, and cultural and ecological diversity. After 9 years of production, our fantastically intricate and inspiring hand-illustrated mega-poster is ready for the print house! Help us print Mesoamerica Resiste, the long-awaited final graphic in an epic trilogy about globalization in the Americas. Now that the illustration is complete, we need your support to be able to share this ambitious project far and wide. The story of this project: Over the past thirteen years we've researched, drawn, and re-drawn the story of corporate-driven globalization in the Americas, starting with posters about the Free Trade Area of the Americas and Plan Colombia. In 2004 we embarked on the initial research trip for the third poster in this trilogy, traveling from Mexico to Panama over 5 months to meet with people on the frontlines of resistance to a regional development plan then known as Plan Puebla Panama. The industrial-scale infrastructure projects of the plan (now renamed Project Mesoamerica) are what literally pave the way for the free trade model that devastates local economies. Our intensive grassroots research and collaborative design process continued for several years. After the pencil work was complete, inking the final drawings took several more years, with rotating teams of illustrators and studios in multiple locations. This is OUR FIRST EVER poster to be printed DOUBLE-SIDED! This new format has given us the opportunity to focus on the clash between two very different world views. When folded, the outside of the poster features a colonial map of Mesoamerica, the view from the top-down. The poster opens up to an inside image twice as large, showing the view from the ground, of people's lives who are affected by the plans on the map. The two sides of the posters are drawn in different styles, to emphasize that they are opposite sides of the story of globalization. How we distribute our work: Our original large scale pen and ink drawings are scanned and then mass-produced, printed by the thousands as offset posters, and on fabric as portable murals brought to life by our loose band of traveling storytellers. We tour widely and do all of our own distribution, in person or via our webstore. We believe in the power of person-to-person interactions and the power of stories. We build and disseminate these visual tools with the hope that they will self-replicate, and take on life of their own. To make this abundant cross-pollination possible, all of our work is licensed under the Creative Commons (CC). Our goal is always to return half of what we print to the regions that the stories in the graphics come from. Collaborating to fund this print run means you're directly helping to distribute posters throughout Mesoamerica, and supporting the work of educators and organizers from frontline communities. You can be part of this story! Our Kickstarter campaign is set at $36,000 in order to cover the costs of a huge print run of posters, multiple sets of large fabric banners (portable storytelling murals), and accompanying educational materials for touring. We have used every last scrap of our income from the past couple of years in finishing the illustration, doing test prints, and bringing on new enthusiastic bees to help hatch this poster out into the world! Now we need a burst of seed funding to get the presses rolling. Your pledge to this project is crowd source funding at its best. With every bit you can chip in now, we are able to print exponentially more posters, leveraging the funds you donate to print tens of thousands in one run! If we're able to exceed our goal, we'll have more posters available to share freely with educators and community organizers. Raising funds above and beyond our goal will also greatly increase our capacity to send bees out on tour, and meet all of you lovely people!